Looking for a property in Yerawada? Have a property in Yerawada? All places are very near to Yerawada due to new road development. New signals are created, from there Wakadewadi Shivajinagar is just 3 km wide road, one road to Vishrantwadi, one to Bombay sappers to Khadki and one towards Yerawada nagar city. 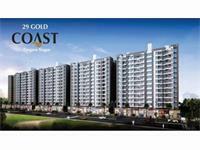 Schools, malls, hospitals and cinema theaters are very near to this locality. Deccan College Road, is a very descent and posh area in Yerawada. Winter is very cold because of river. Yerawada, Pune is rated 7 out of 10 based on 1 user reviews. Have a good knowledge of Yerawada? Share it and become a Locality expert. Hari Ganga Apartments is one of the popular Residential Developments as well as semi furnished apartments in Yerwada most evaluated area in Pune. 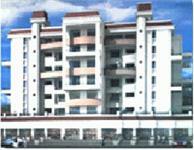 Kumar Parnakuti offers 1&2 bedroom apartments choices with all aspect of amenities features in Pune.